The cottage on the shores of Lake Päijänne, Sweden's second largest lake, located in a secluded bay. Here you can fish, swim and the forest to pick berries is also close. The cottage on the shores of Lake Päijänne, Sweden's second largest lake, located in a secluded bay. Here you can fish, swim and the forest to pick berries is also close. From the terrace you can see the lake, where you can enjoy the bright summer evenings right. Directly from the lakeside sauna, you can take a dip in the refreshing water. The sauna has a porch that invites even to sit. The beds in the three bedrooms can be put together. 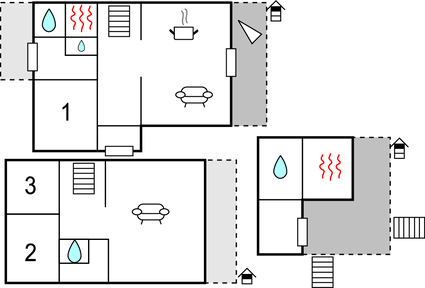 In the house a second sauna is available. The house is built according to eco-friendly standards, it was awarded the highest possible energy certificate. A lovely holiday home for a couple, a child's family or even two families. This beautiful modern cottage is made from wood and was recently built in 2012. The agent has rated it as a five star property so it is one of their best cottages - tastefully furnished and fully equipped. It is also great value for money. 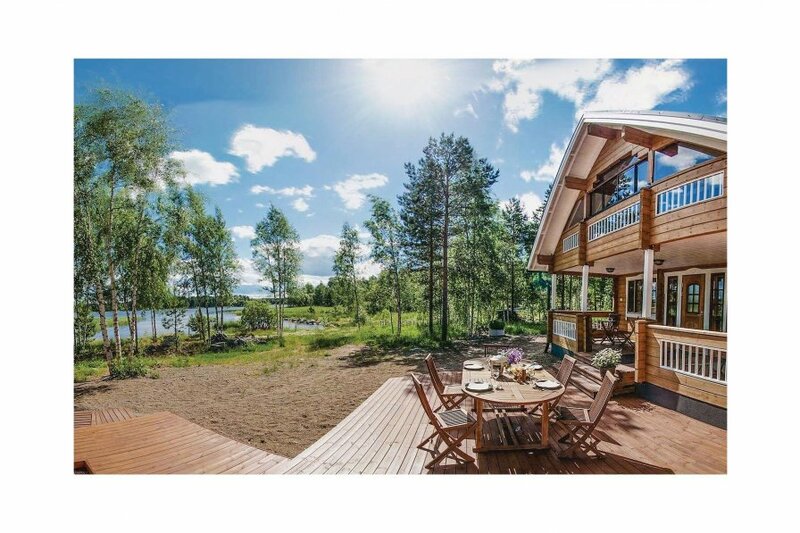 This cottage has lake view and is located in Lake District, 60km from Heinola. It is set in a good location: there is a restaurant 7km away. The cottage has free wireless internet. You can also park on-site at no extra charge. The cottage is well equipped: it has a refrigerator, microwave, washing machine and dishwasher. The property has a sauna; it also has a barbecue, a garden and some garden furniture outside.